Early on in our relationship I learned about my sweetie’s love of oatmeal cookies. I remember him mentioning it during one of our all night long phone conversations and baked up a batch for our first trip together during our first summer together. I knew he loved them (or me) because he ate them all. So a month or two later, I made another batch. And they were gone as well. So I knew he was a true fan. Needless to say, throughout the past 3.5 years, I’ve made more than a few dozen. 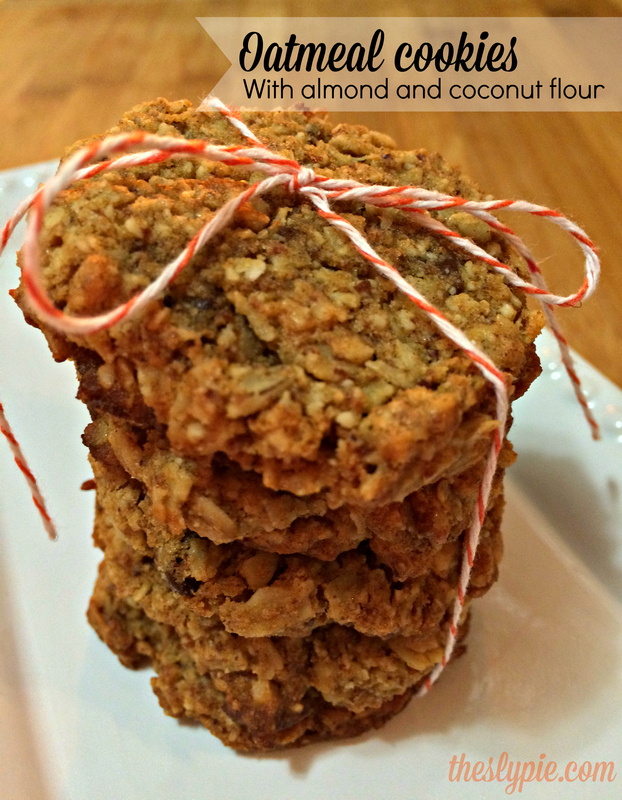 When I started bringing more and more “clean” recipes into our lives, I knew I would need to find a way to bake a healthy oatmeal cookie recipe ASAP. It had to be sweet. It had to be chewy. It had to be just as satisfying as the real thing. When I watched him take his first bite of these little darlings and then proclaim that they’re “good!”, I new I’d have to share it with the world! Cream together butter, honey and date sugar. Beat in eggs one at a time, then add vanilla. Combine flours, baking soda, salt, and cinnamon; stir into the wet mixture. Mix in oats. 2. Preheat the oven to 375 degrees F (190 degrees C). Grease cookie sheets. Roll the dough into walnut sized balls, slightly press into disces and place on a greased cookie sheet. 3.Bake for 8 to 10 minutes, or until golden brown, but still soft on the top. Cool and enjoy!